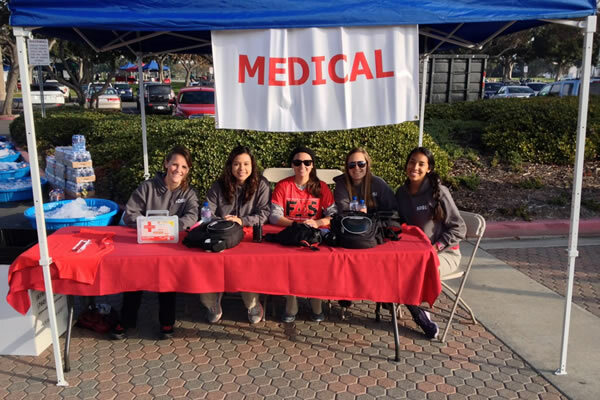 On February 15th, 2014, San Diego State University Future Athletic Trainers’ Society (FATS) participated in the Coronado Valentine’s Day 10k run. There, we were assigned to work the medical tent along with assigned EMTs. Our main job there was to assist in first aid. Some additional duties included icing runners down, making sure they stayed hydrated and also attending to injuries.